by Miriam Manne, September 2007. In the late 1970’s I saw a poster advertising holiday screenings of a series of Shirley Temple films at the Central Theatre (now the Lithuanian Club) at 50 Errol Street, North Melbourne. I took my son David, then an Errol Street Primary School student, to one of the films. It was a strange and rather uncanny experience, as screenings at the theatre were very rare at the time. The beautifully preserved Art Deco theatre had a ghostly feel of a once thriving venue now cold and deserted. At that time I had no idea that from the early days of silent cinema to the end of the 1950s, when the arrival of television caused a sudden decline in suburban picture-theatre attendance, North Melbourne had been a thriving centre of film-going. Our local historical society, the Hotham History Project, has oral records of Seeres Model Open Air Theatre. 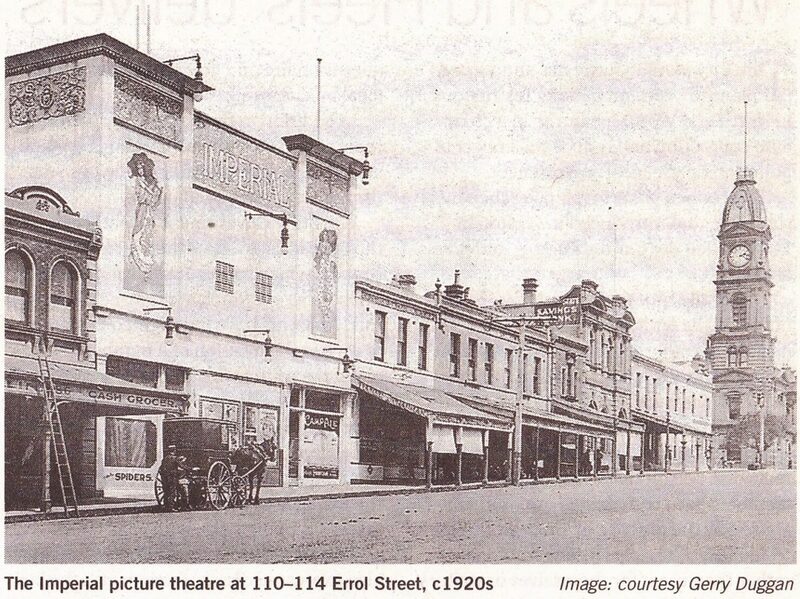 The theatre operated between 1913 and 1918 in a vacant block next to the North Star Hotel in Abbotsford Street, where silent films were screened on a back wall. During this time, a rival outdoor cinema called Bowmans on the corner of Roden and King streets, West Melbourne, also screened silent films. In the archives of Melbourne's Cinema and Theatre Society I found a description of this lively venue. It was given a number of years ago as a part of an oral history from a very old gentleman who grew up in North Melbourne in the early 1900s. "It had an earthen floor and hard wooden benches. Halfway down the theatre, a wire fence stretched from one side of the theatre to the other in order to protect the band members and the small group of refined audience from the `riffraff'. A night at 'Bowies' would often end in an all-in brawl." 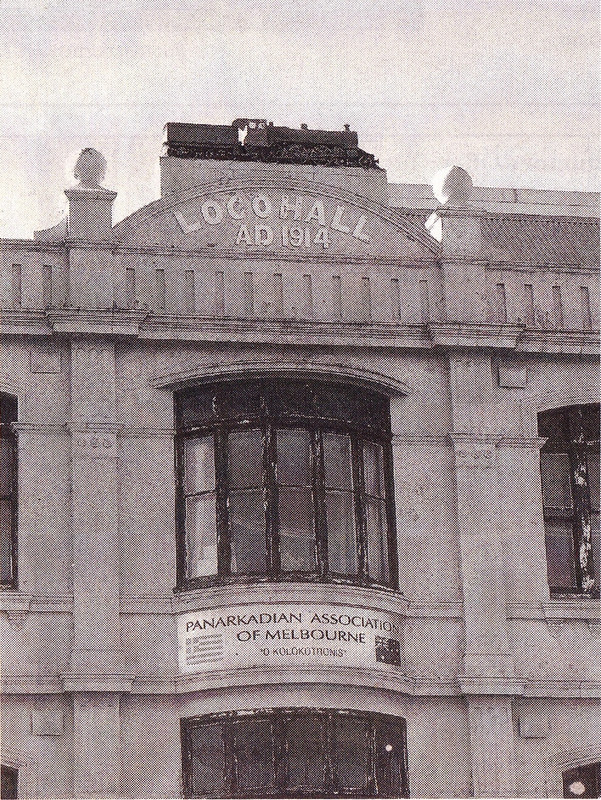 Although such rough venues could hardly be described as 'picture palaces', North Melbourne also had a number of indoor cinemas. The oldest of these was the Imperial at 110-114 Errol Street. It was designed by a British architect, R.J. Haddon. Built in 1913, the 'Imp' operated as a picture theatre until it burnt down in the early 1930s. Long-term resident Nancy McIntosh remembers standing in her street and watching the flames. When the Imperial site was redeveloped as open-planned apartments in 1994, part of the architectural brief was to retain a little of the excitement and history of its cinema days. The old façade was maintained along with a huge interior riveted steel girder salvaged from an old bridge in London. By 1937 the North Melbourne Town Hall had started to have regular screenings of popular films. It had a seating capacity of 700 in portable rows of seats, which were stacked away when dances were held. Laurie Shipp, who lived in the town hall building as the son of the post office caretaker, remembers his early cinema experiences very fondly. "The projection box was a cantilevered shack attached to the inside rear wall of the main hall with access only by means of a ladder fixed to the wall through a trap door in the floor of the projection shack. I can recall one night the projectionist fell ill. With no assistance available, he was forced to keep climbing up and down the ladder all night in between slides and reels." Laurie remembers seeing his first coloured movie in the town hall. He thinks it was The Trail of the Lonesome Pine starring a very young Henry Fonda. As part of the new City Mission building at 50 Errol Street, the Central was built in 1943 as a new sound theatre. Its Arts Deco style, with lots of curved plaster effects, recessed lighting and chrome fittings, gave picture-goers a feeling of luxury they could not afford at home. Long-term North Melbourne resident Peter Cormick remembers the matinees at the Central (otherwise known as the 'flea box') during the 1950s. There was often so much unruly audience participation, so many empty lemonade bottles and Jaffas rolling down the aisle, that it was difficult to focus on the film. Nevertheless, crowds flocked to the Central. Nancy McIntosh told me that during the 1940s and 1950s you couldn't get in on a Saturday night without booking. This was also true of the even grander picture palace, the Loco, in Victoria Street west of Curzon Street. Built in 1914 by the Locomotive Engine Drivers, Firemen and Cleaners Association as a permanent meeting hall for the union, it doubled as a picture theatre. An account from the Locomotive Journal 1985 read: "The picture show then was still considered a technical novelty with short one-reel films flickering on the screen accompanied by a pianist or small orchestra trying to capture the mood or theme." By the early 1920s electrical projection had replaced limelight and the Loco became a very popular picture theatre with a permanent orchestra and twice-weekly changes of program. Nancy McIntosh told me that during the Depression, if there were any vacant seats at interval, unemployed teenage boys would be let in so as to stop them roaming the streets. During the Second World War the Mothers' Club at Errol Street Primary School hired the theatre for fundraising nights. By the 1940s and 1950s the Loco had become so popular that it easily filled its 876 seats. Its advertisements in the Northern Suburbs News used enticing and inventive film descriptions. For example, in 1955, the film Crossed Swords starring Errol Flynn billed him as "the adventurous, boldest rogue". An issue of October 1949 advertises the 1947 Academy Award-winning film Rachel and the Stranger starring Loretta Young, Robert Mitchum and William Holden. Its blurb read: "Once a man, a married man / Who couldn't see the danger / Until one day, one fateful day / Along came a tall dark stranger." By the end of the 1950s the advent of television had had a disastrous effect on picture theatres, particularly suburban ones. Many closed virtually overnight as audiences declined. 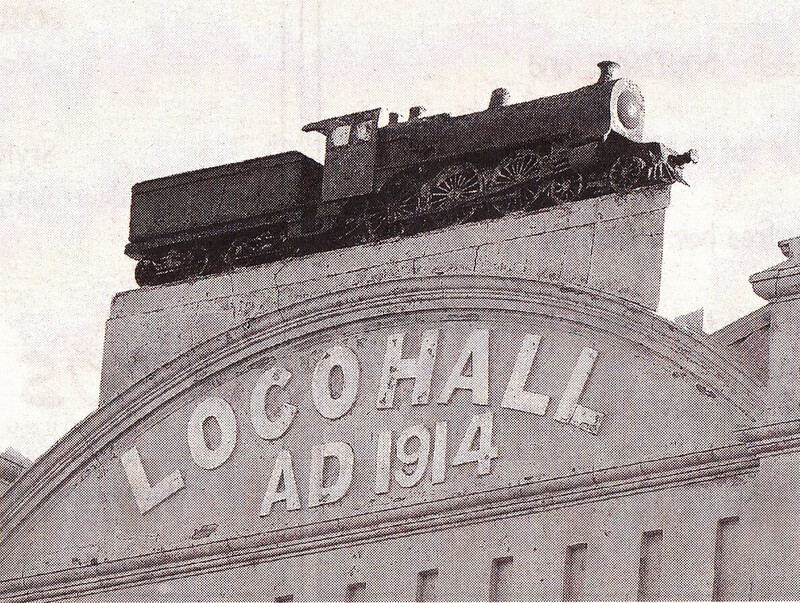 By 1959 the Loco had suffered a similar fate and started screening foreign-language films which catered to the large migrant population in the area. By 1976 the theatre had become the Marconi Ballroom and is currently a function centre. So ended a rich part of North Melbourne's social history. Should it be mourned? Or simply seen as part of inevitable social change? Film historian David Thomson, who, like myself, was taken to the movies in the midst of the postwar movie boom, regrets the passing of this golden age. "A child could feel comforted by a great mass of strangers enjoying themselves in the same way. I don't think I had any notion of what community might mean until I started going to the movies." I've recently wondered why North Melbourne, being so close to the city, was such a thriving hub of cinema until the late 1950s. Oral histories from Gerry Kennedy, president of the Cinema and Theatre Society of Victoria, describe the area as a very tight-knit community that thrived on any opportunity — a film, a dance or a footy match — to further local connection. To return to my visit to the Central in the late 1970s. In spite of its neglected feel at the time, I remember hoping that the cinema would open up on a more permanent basis, so that my son and his mates could experience, as I had, the pleasure of mates at the local, where children cheered and rolled Jaffas down the aisle.